ePublishing Knowledge BaseePublishing Knowledge BaseePublishing Knowledge Base User Manager: Creating Admin Roles & PrivilegesHow do I change a reader's password? Occasionally, readers lose their passwords and call you for help. The first option: Your readers can change their own passwords on your website. On the log-in page, they can click "Forgot your password?" to recover it. The other option for updating reader passwords using the User Manager is covered in this article. 1. 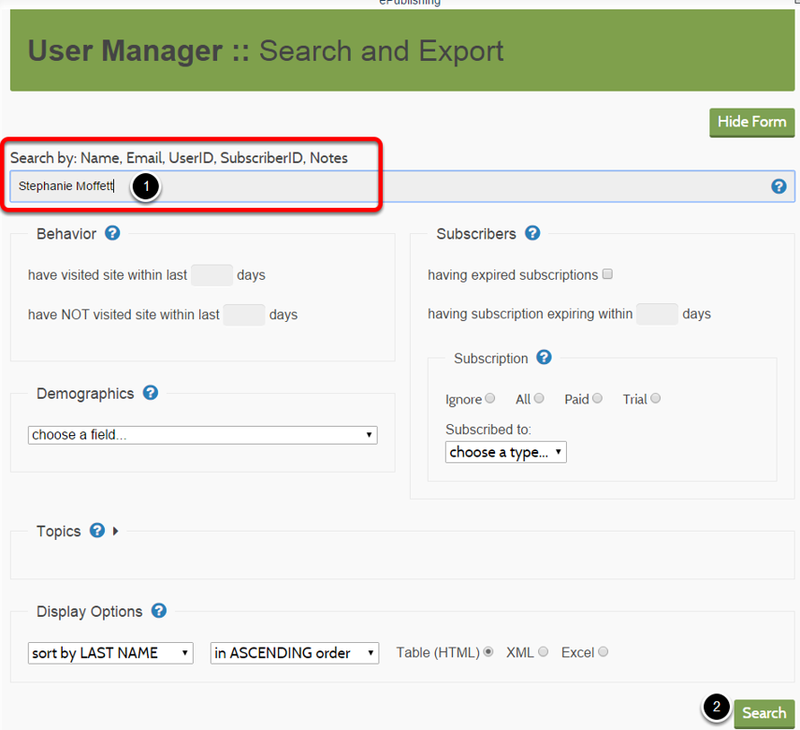 Access the User Manager under Sales/Marketing in your main navigation on your dashboard. 2. Enter the user's name or other identifying information in the Search field, and click Search. 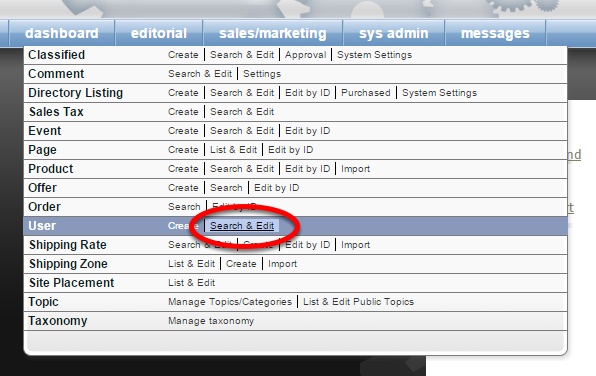 Zoom: Enter the user's name or other identifying information in the Search field, and click Search. 3. Open the reader's profile by clicking on the ID number beside the name. Zoom: Open the reader's profile by clicking on the ID number beside the name. To return to the search form, click the green Show Form button on the right. 4. 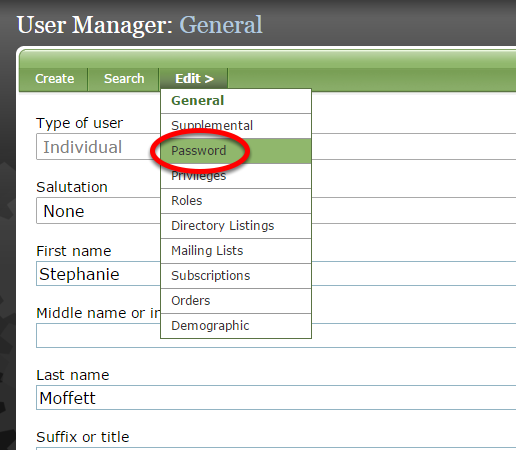 In the User Manager, click Password under Edit. 5. You won't be able to see the reader's password, but you can update it by assigning a new one. Type the new password under New Password, and in Confirm New Password. Zoom: You won't be able to see the reader's password, but you can update it by assigning a new one. Type the new password under New Password, and in Confirm New Password. This password will override any previous passwords. At least six (6) characters long. Includes a mixture of numbers and letters. Ideally, mix the case of the letters and add punctuation. 7. Encourage your reader to update his password after logging in with the temporary password you set up. The above is an example of a reader's account page on an ePublishing client's website. Prev: How do I add a subscription to a reader's profile? Next: How do I add a new editor?